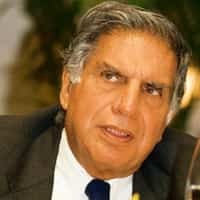 Mumbai / New Delhi: Ratan Tata, chairman of the Tata group, has asked chief executives at the group’s companies to save costs amid the financial turmoil. Tata asked all group companies to defer non-strategic acquisitions, slow expansion plans and cut costs, The Telegraph newspaper published from Kolkata reported on Wednesday, citing a letter written by Tata to group heads last week. The Tata group has 96 operating companies, according to the report. Meanwhile, a Reuters report from Mumbai said, the Tata group, the flagbearer of corporate India’s overseas expansion with its purchases of Corus in 2007 and Jaguar and Land Rover this year, has put its acquisition plans on hold. In a 6 November email to the heads of group companies, Tata directed all pending loan and funding agreements be finalized expeditiously, even if it meant accepting higher interest rates, the Hindustan Times reported on Wednesday. Managers were told to put acquisition plans on hold unless strategically critical and develop plans to cut costs, the paper said. “Some of our companies with substantial foreign operations or those which have made substantial acquisitions are facing major problems in raising capital and establishing lines of credit for their operations," the email said, the newspaper reported. The Tata group had revenues of about $62.5 billion (Rs3.05 trillion) in 2007-08, and operates in sectors including software, steel, energy, automobiles and consumer products. Its 27 publicly listed enterprises have a combined market capitalization of some $60 billion.